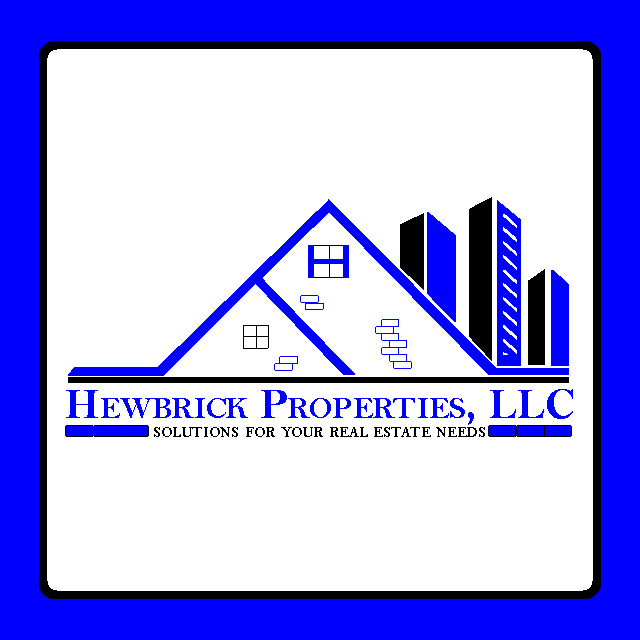 Hewbrick Properties, LLC is here to help homeowners out of any kind of distressed situation. As investors, we are in business to make a modest profit on any deal, however we can help homeowners out of just about any situation, no matter what! There are no fees, up front costs, commissions, or anything else. Just the simple honest truth about your home and how we can help you sell it fast to resolve any situation. You may hear from others, the news, or even real estate agents, that investors are all out to screw over the home owner, but this simply isn’t true. 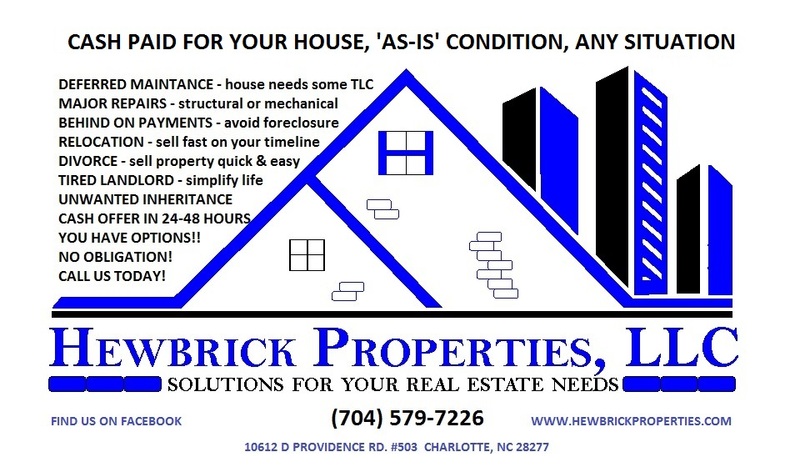 Hewbrick Properties, LLC is part of a nationwide group of thousands of investors who are helping tens of thousands of homeowners every year. We may not be the “traditional” route, but the reason many bad mouth investors is because we CAN help and we can do it quickly, which they don’t want YOU to know about! It doesn’t matter if you are buying, selling, or looking to invest in real estate. We are one of the TOP real estate companies our area! 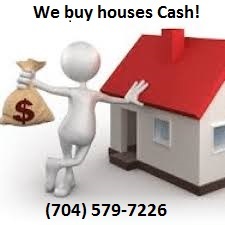 Call us today at 704-579-7226 to learn how we can help you out!